Need A Reliable ADA Hand Dryer to Meet Standards? Here in the U.S., every architect, builder, specifier, facilities manager and landlord alive is reasonably familiar with the ADA Standards for Accessible Design. Established in 1991, these outline technical requirements of the Americans with Disabilities Act (ADA) of 1990, which mandates that all workplaces, government services, places of public accommodation and commercial facilities do not prohibit access and use by persons with disabilities. Given this succinct yet loaded list, you’d be hard-pressed to find any building that’s exempt. Anyone involved with new construction since the ADA’s enactment knows not to make a move without the guidelines at hand; an ADA compliant bathroom alone means more than a dozen areas of consideration. Where confusion tends to lie, even nearly three decades in, is the issue of older buildings—those that predate the ADA. Many erroneously believe that preexisting buildings are “grandfathered,” and that there’s no expectation of compliance with ADA regulations. Although incorrect, this misunderstanding is, well, understandable. The law states that any modifications to an existing building must comply with ADA guidelines. However, regardless of modification plans (or lack thereof), a building that simply fails to remove “architectural barriers” is considered noncompliant—unless the facility can prove that barrier removal would not be “readily achievable.” Since the definitions involved here are anything but cut-and-dried, ADA compliance often is, too. If we may break it down a bit here, let’s focus on that aforementioned room of necessity: the commercial washroom. In terms of your hand-drying solution, Excel Dryer makes removal of potential barriers—i.e., poorly positioned or otherwise noncompliant dryers or paper towel dispensers—more than readily achievable. We also make it unbeatably cost-effective, energy-efficient and high-performing, facilitating the best hand-drying solution while helping your facility meet ADA bathroom requirements. 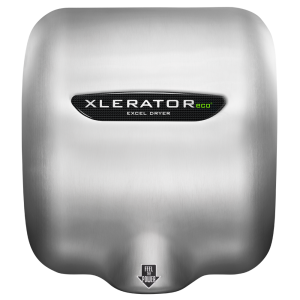 As manufacturer of the original, high-speed, energy-efficient, and now EPD Certified XLERATOR® Hand Dryer, Excel Dryer is committed to ensuring guideline adherence through innovative technology. 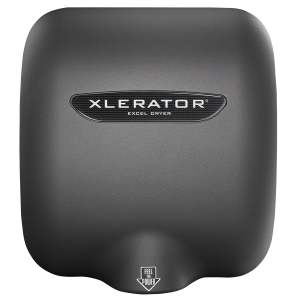 We developed the first ADA compliant recess kit for a high-speed energy-efficient hand dryer, and accessory that instantly makes any XLERATOR a bona fide ADA hand dryer. 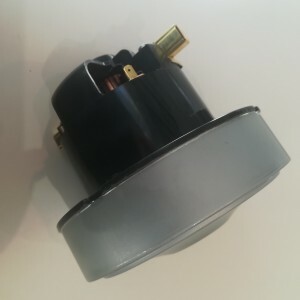 We then created our XChanger® Combo Kit for retrofitting paper towel dispensers to the XLERATOR Hand Dryer. 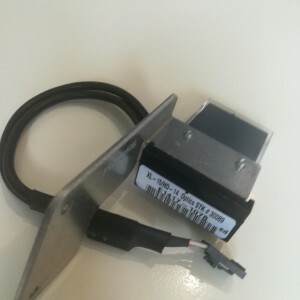 This combo kit allows for a seamless switch, without causing any damage to the existing space or wall. 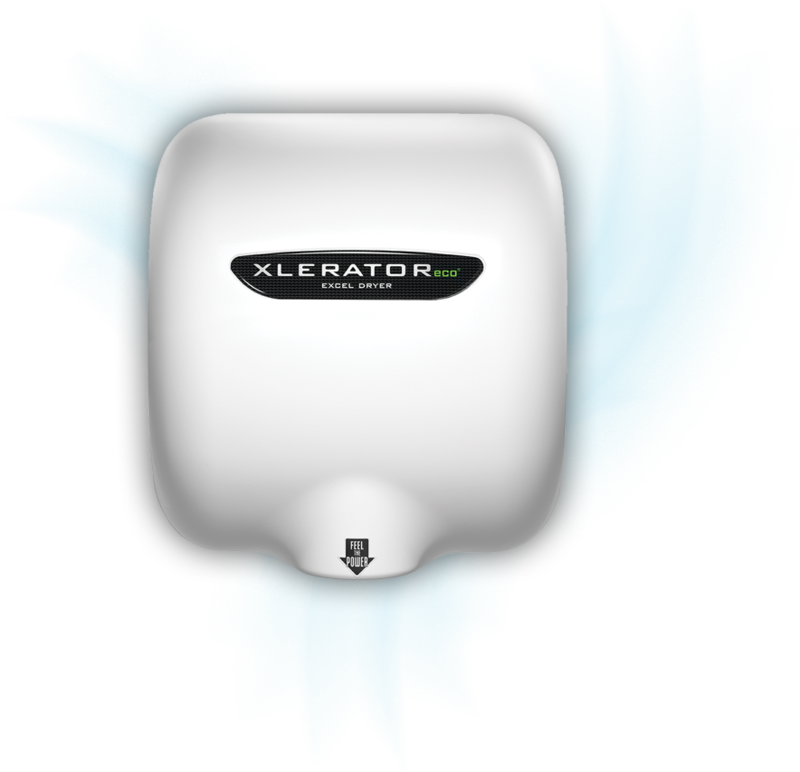 More recently, Excel introduced the ThinAir® Hand Dryer, part of our expanded and enhanced line of high-efficiency, EPD Certified hand dryers. 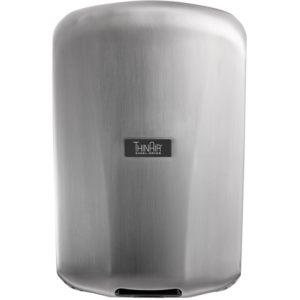 ThinAir is a surface-mounted, ADA-compliant hand dryer that dries hands fast, using only 950 watts or less. In accordance with ADA guidelines for the visually impaired, ThinAir protrudes only four inches from the wall, and is fully ADA compliant when installed at the recommended height of 37 inches above finished floor (AFF). ThinAir, like all high-efficiency hand dryer models from Excel Dryer, now comes with new enhanced standard features, including adjustable sound, speed and heat controls, multi-voltage options and an externally visible service LED. 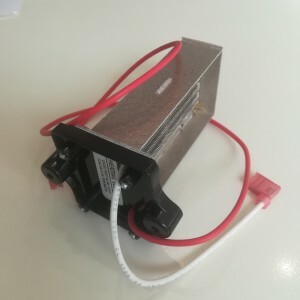 In addition to the original ABS polymer cover, ThinAir is available in brushed stainless steel and features a washable pre-filter to extend the life of the unit. While ADA guidelines call for a push-button to be operational with the use of one hand, ThinAir takes it one step further: its automatic sensors make for “no touch” operation. It also is accessible for both left-handed and right-handed users, another ADA standard that must be met. In short, the sleek, surface-mounted ThinAir Hand Dryer was designed for both powerful performance and complete compliance. In addition to ADA considerations, don’t forget about our products’ other inherent benefits. For one thing, by switching to XLERATOR, facilities enjoy an average 95% cost savings over paper towels while eliminating paper’s pesky labor, maintenance and waste. As green as they get, Excel Dryer’s hand dryers also help facilities qualify for more LEED® v4 credits than any other brand and are the only hand dryers to be Made in USA Certified®. As you work toward your facility’s total ADA compliance, let Excel Dryer take care of the part we know best. Isn’t it time to throw in the towel?